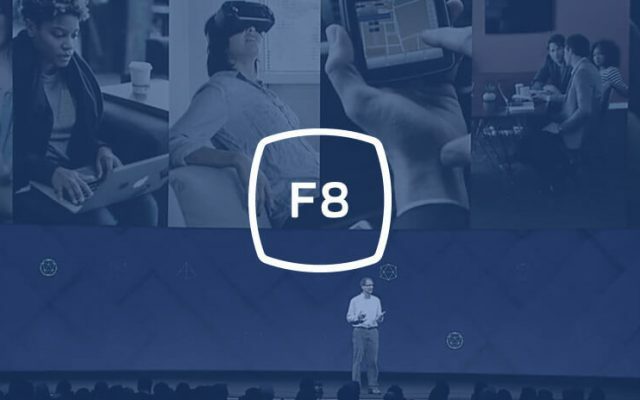 This year, on the Facebook F8 event the company shared its vision for the future of augmented reality apps, VR, Messenger bots and more. Follow along to keep updated on the most recent trends from Facebook. According to the Facebook’s grand 10-year roadmap that was unveiled in 2016, the company intends to turn virtual and augmented reality into forward-looking parts of its business over the coming decade. To speed up this growth of the AR technology, chief executive Mark Zuckerberg presented the AR Studio Facebook that will allow developers to create augmented-reality effects for the FB app’s camera. Facebook opens up a developer platform so that people can create augmented reality apps for the cameras that live inside Facebook, Instagram, Messenger, and Whatsapp. 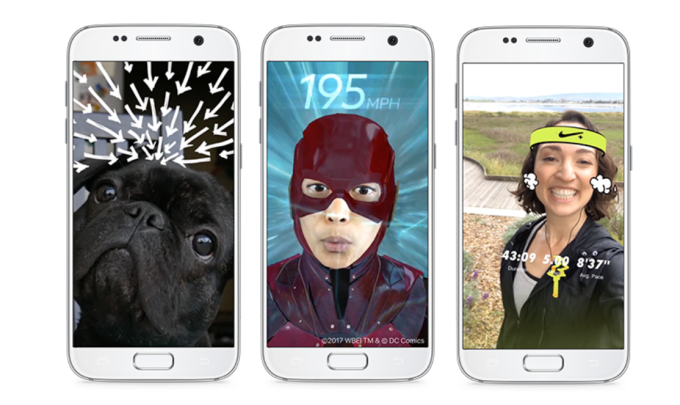 Initially, the effects will be relatively basic and will act similarly to Snapchat lenses. But in their plans for the future, Facebook is intended to use custom AR to show, for example, the restaurant’s menu, virtual steam that rises above a real coffee cup, 3D drawings on empty walls and more. In his presentation, Zuckerberg showed a variety of stunning camera effects, which users will soon find on Facebook. These will extend beyond the traditional art frames and face filters of today to include three-dimensional text and images. Zuckerberg called AR the next major computing platform, a sentiment that was supported by Tim Cook and other tech executives. At F8 the tech giant revealed Facebook Spaces in beta today on Oculus Rift + Touch. 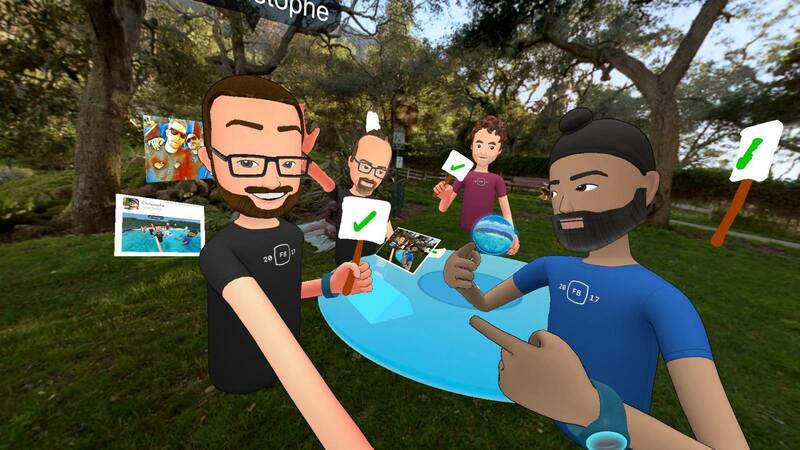 Spaces – is a virtual reality application that lets you connect remotely up to four FB friends and engage with one another, hang out with in a new interactive way as if you were sitting next to each other. This news means that everybody who has Rift and Touch controllers can connect to other people on a virtual platform, where they can watch videos, take photos, and participate in a various VR activities together. Spaces was first boasted at the Oculus Connect conference in October, and Spaces, as it exists today, is not so different from the demonstration that Zuckerberg showed off. Most notable in this release is that Spaces will soon be expanding to other VR platforms in addition to Oculus Rift. Spaces is available now in the Early Access section of the Oculus Store and can be downloaded for free. Messenger CEO David Marcus introduced Messenger Platform 2.0, a new range of tools, from public QR codes that link to bots, to group chats that incorporate these bots. With 1.2 billion users on Facebook Messenger, there are plenty of people who could try their bots. Read our article Messenger Platform 2.0 Debuts at F8 to discover the latest updates. Your business still doesn’t have a bot? We would be glad to build one for you.